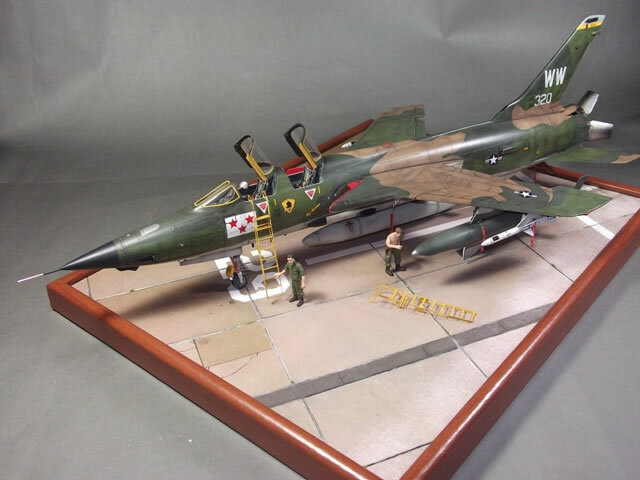 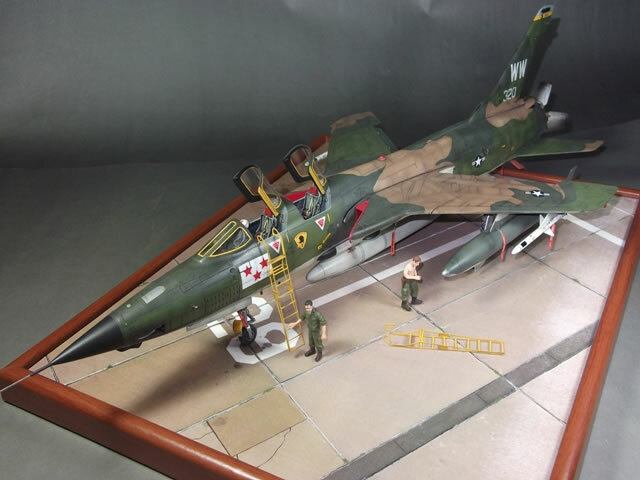 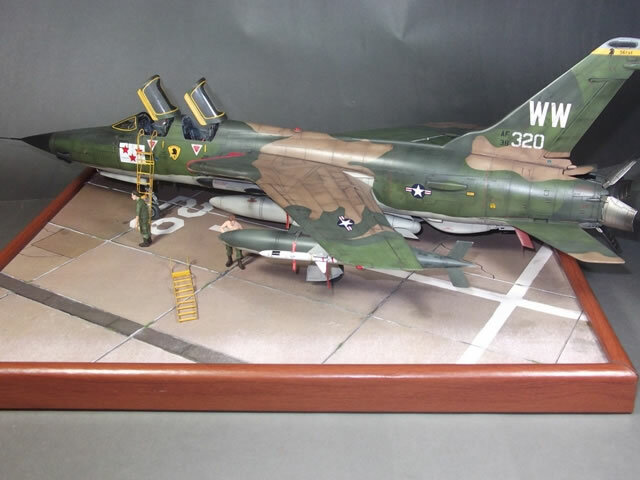 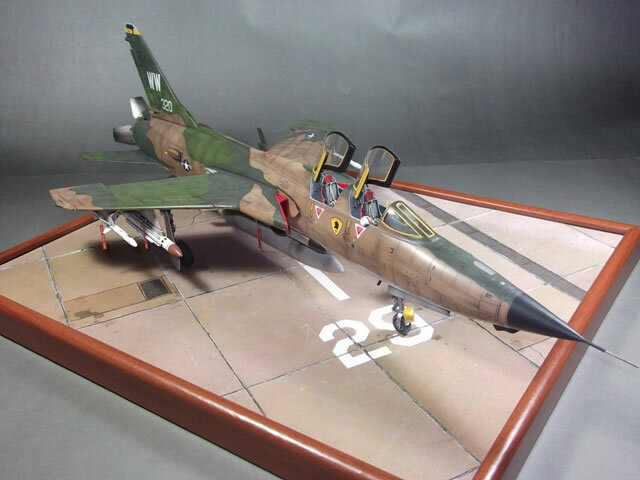 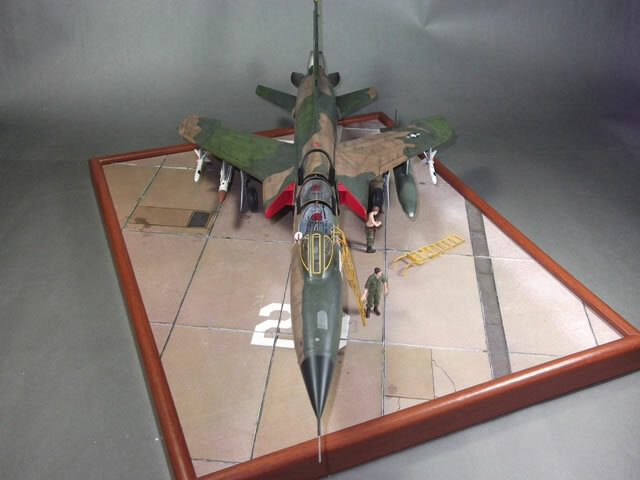 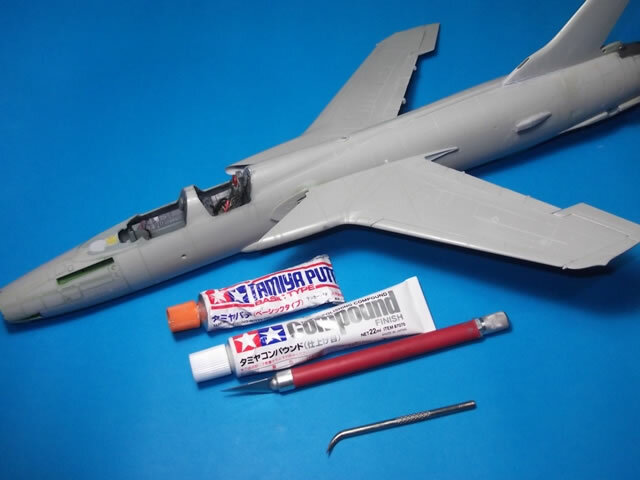 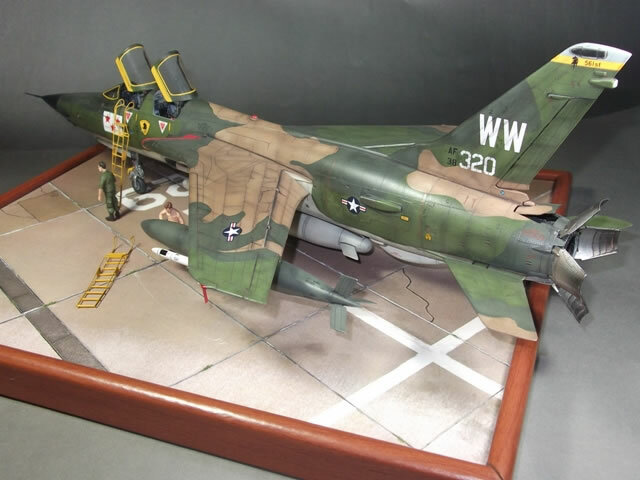 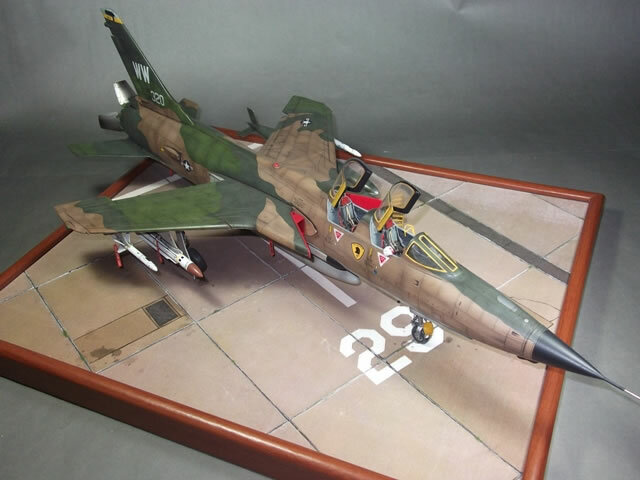 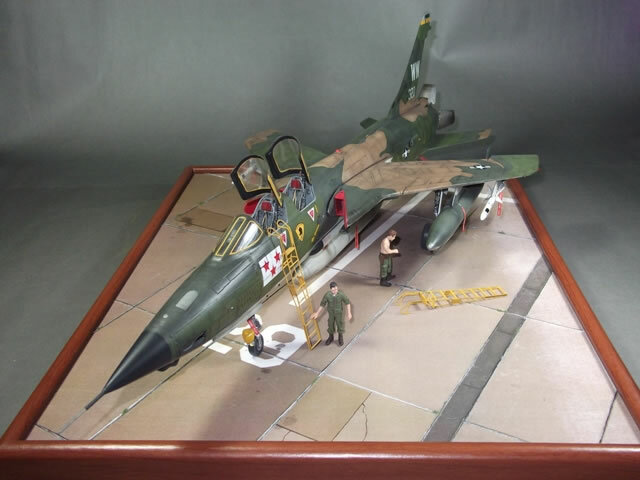 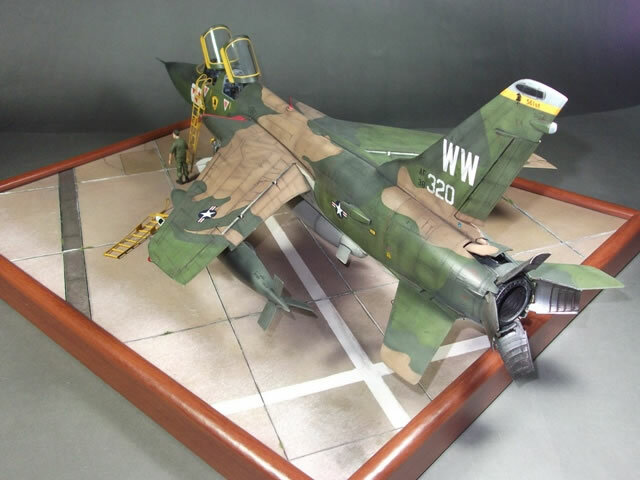 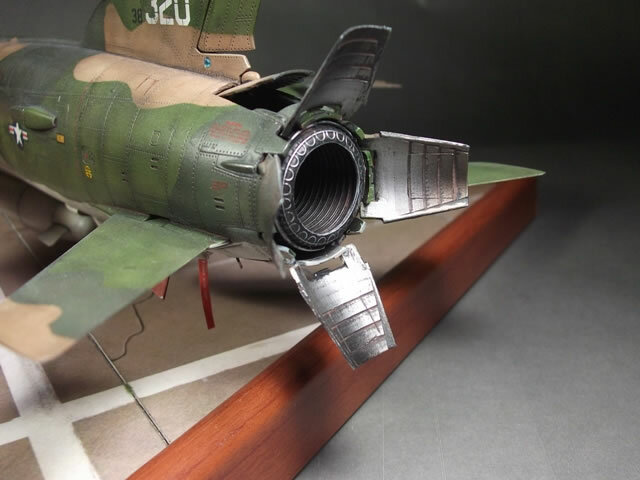 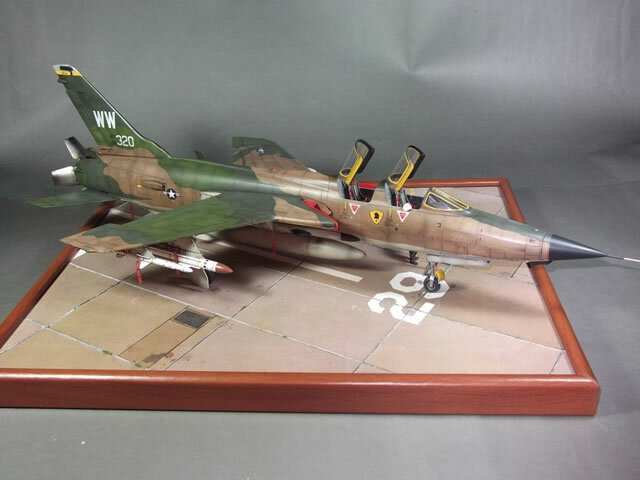 I present my latest completed model, the classic Century Series Republic F-105G "Thunderchief" in 1/48 scale from HobbyBoss. 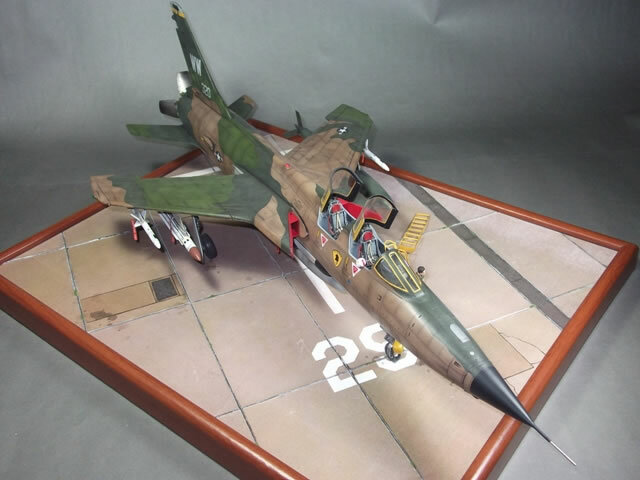 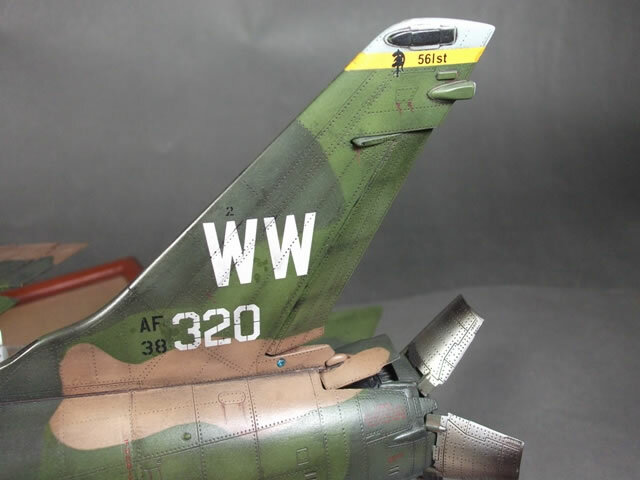 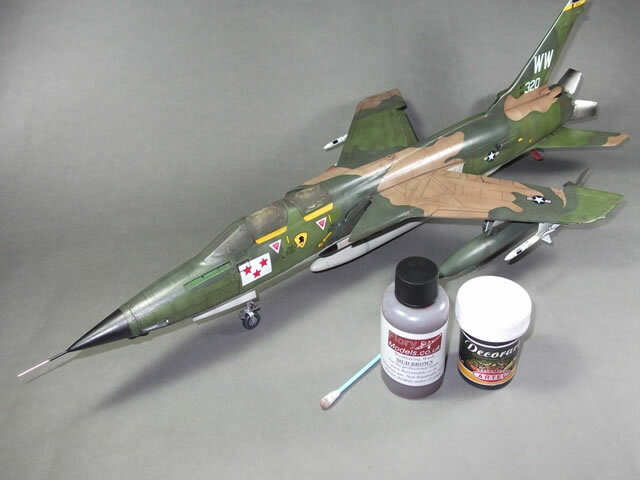 Corresponds to an F-105G (early) of the 561 TFW TFS/388 version on Aeromaster decal set 48-674 "Lead Sleds pt II". 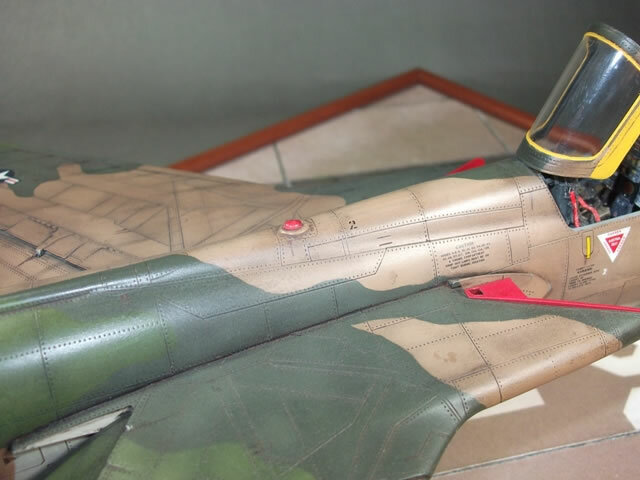 This particular aircraft has been preserved in the USAF Museum and there is some controversy over its markings. 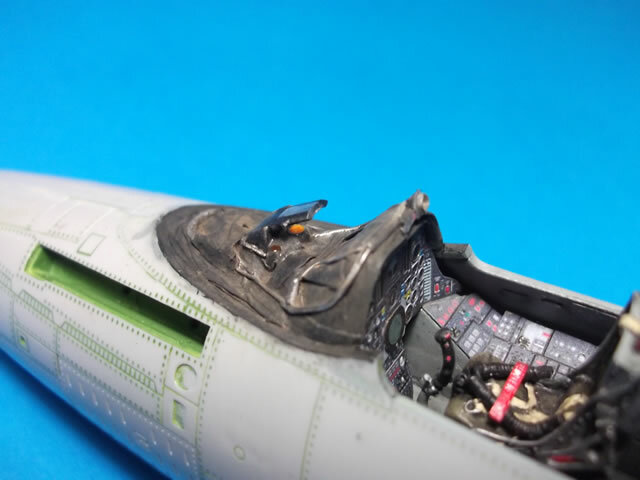 The fit inside the cockpit with side walls is not optimal because there are a few millimeters of light which should be supplemented. 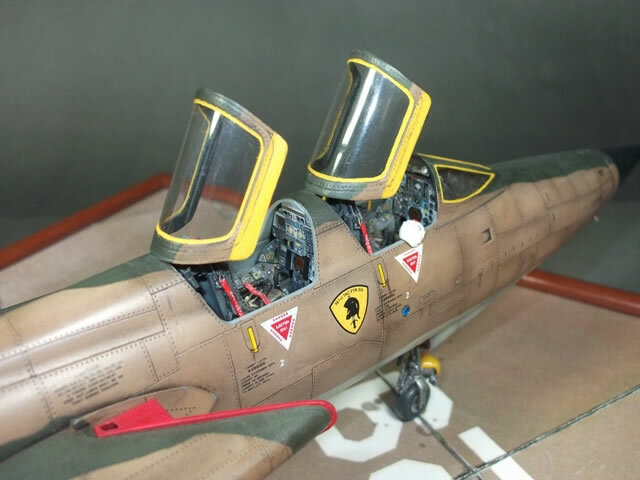 The detailed cockpit side panels is zero. 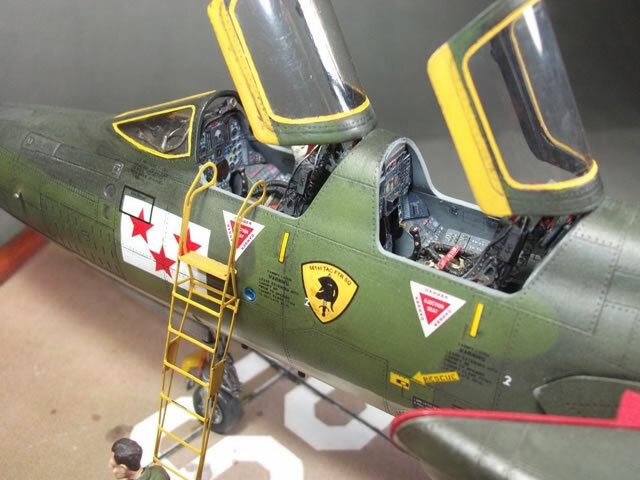 48-674 Aeromaster Decals "Lead Sleds pt II". 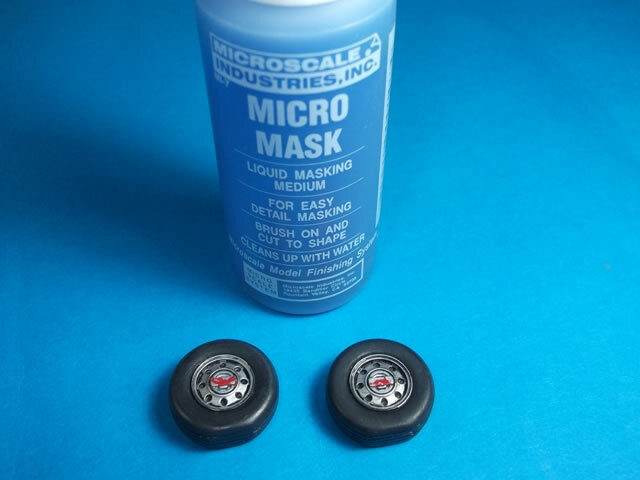 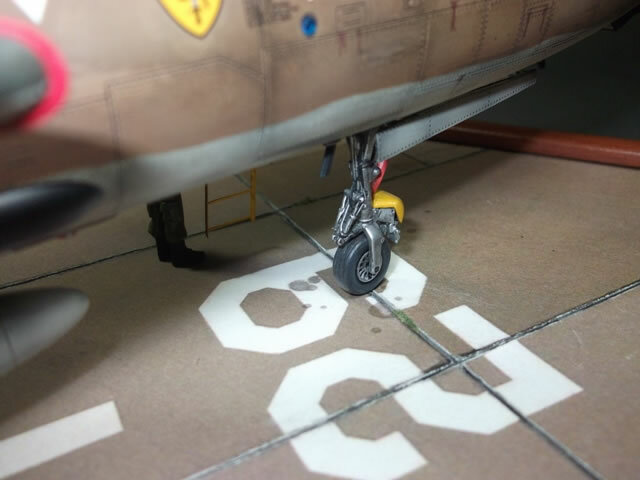 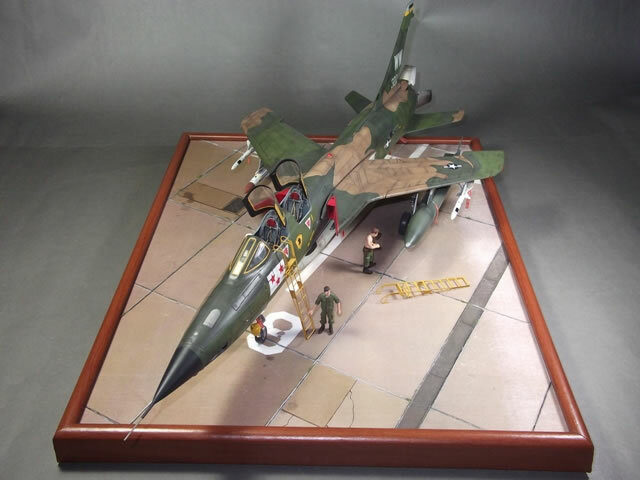 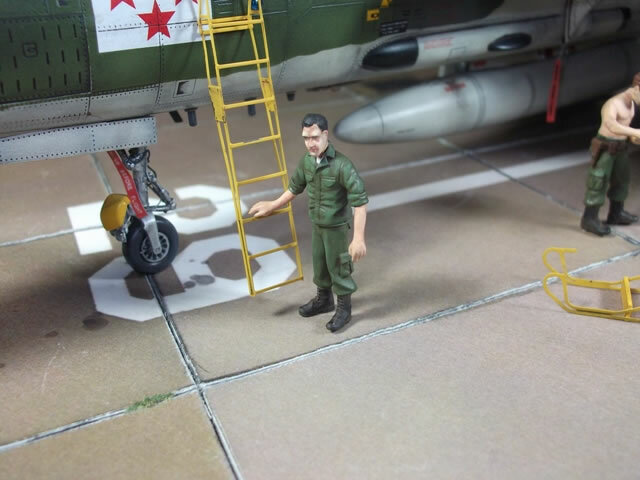 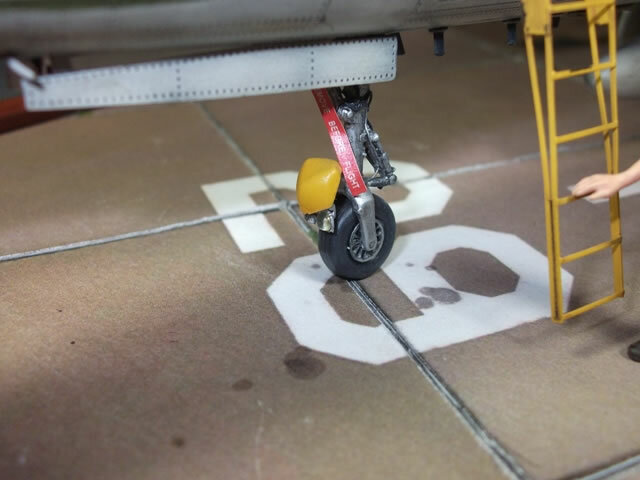 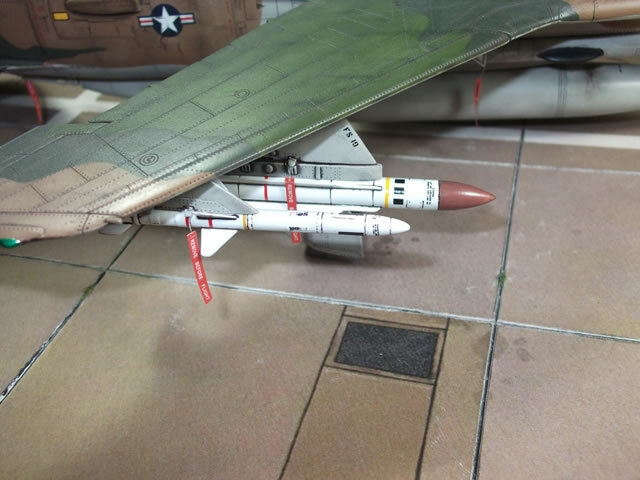 Track Noy's Miniatures "concrete aircraft parking area Vietnam of U.S. airbase in Vietnam"
Fully painted with Testor's Model-Master and Humbrol enamels. 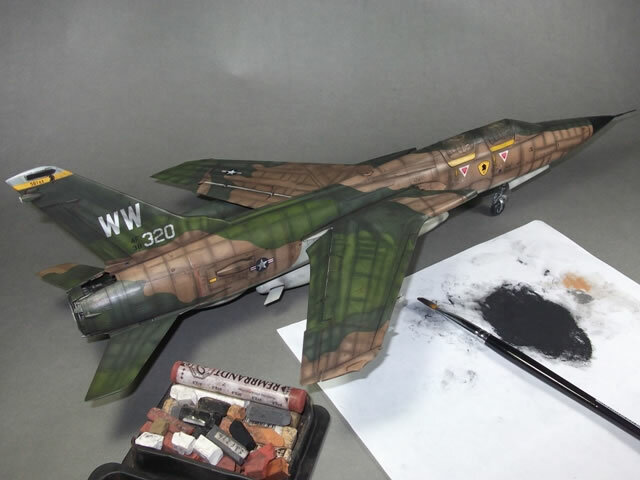 The figures paint with acrylics Vallejo. 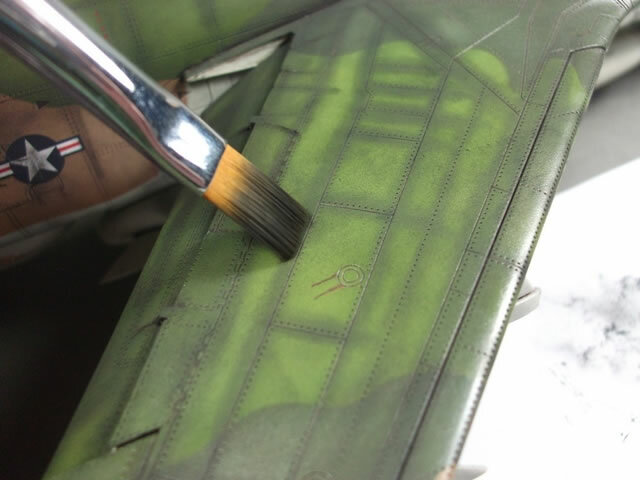 The weathering was done using washes, Weathering Wash pigments the paneling with black and mud. 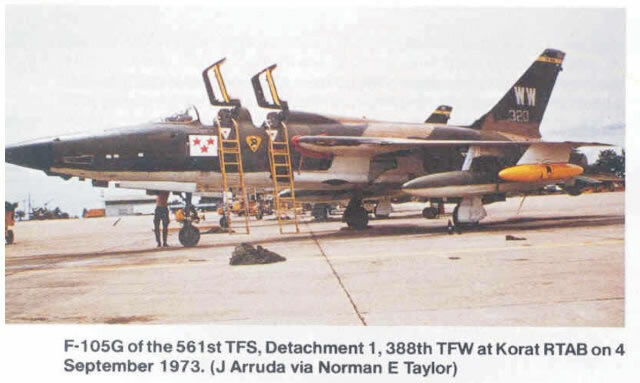 For more information, follow this link to see the assembly.